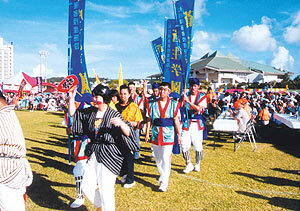 Okinawa’s long, hot summer continues and with it the numerous colorful festivals being conducted across the island. One of the largest, the 26th annual Ginowan Hagoromo Festival, is this weekend. Read More! SSgt Steve Northrup accepts a $500 savings bond from George Stout, General Agent for Midland National Life. 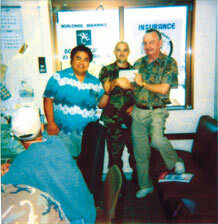 The drawing was held at ACE Insurance Office in Kadena USA. Read More!